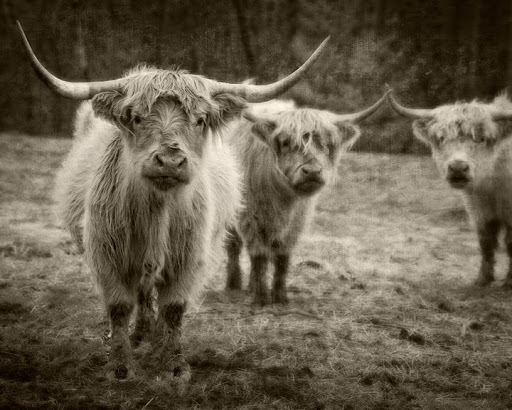 A herd of highland cattle grazes just outside of Greensboro. 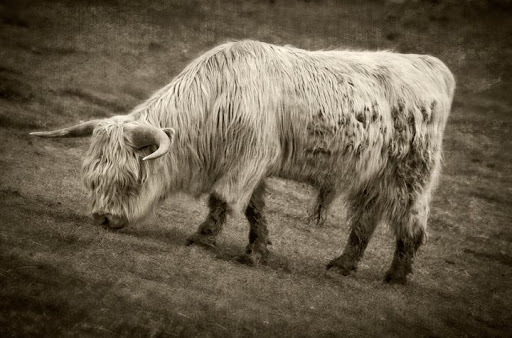 Though I believe these particular cows are kept as pets, the Scottish breed is prized for it’s lean meat. 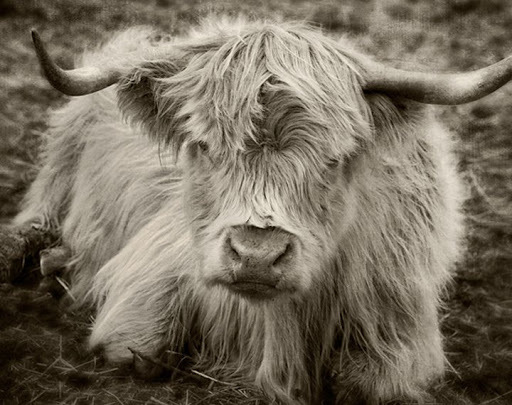 The shaggy hair acts as insulation against the cold, a necessity in the cool, damp Highlands of Scotland, so the animals have less fat than standard beef cattle. 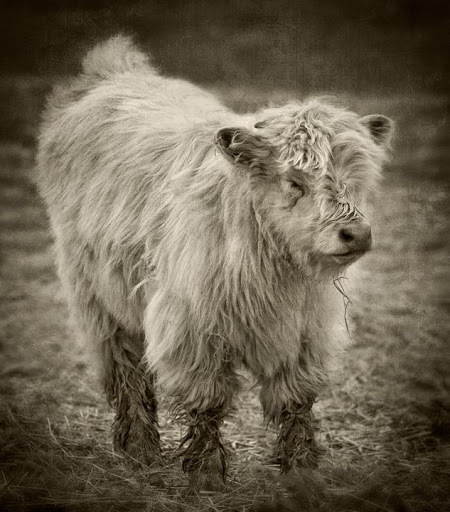 Smaller in stature than regular beef cows, they have a presence nonetheless. And yes, both the males and the females have horns. Love these shots. Are they HDR, either way they’re pretty sweet. Thanks. They aren’t really HDR, but there is some post-processing done to them for contrast boost and some selective focus. 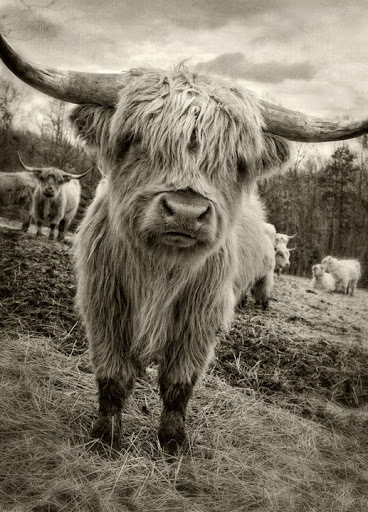 Wow thats impressive Photo and Animal !!!! Absolutely wonderful. Love your B&W work. 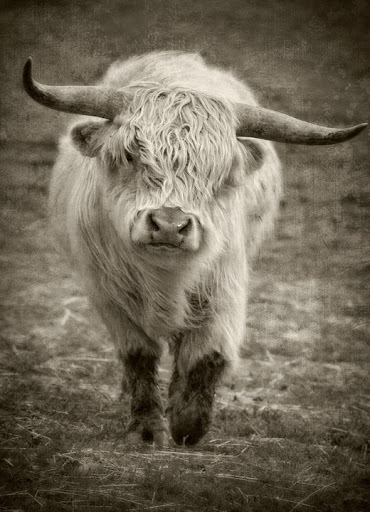 I am a 4-Her in northern Arizona selling minature scotish highland cattle. I am having trouble with people not visiting my site. If visited, it would be preciated so much! It is http://www.kuenylivestock.com/. I built it myself and am paying for it myself. I would like it to get used. Thanks!!! Contact me offline at danrouthphotography@gmail.com and we can discuss prints. Thanks.